This past weekend we decided to take a trip over to a magical town in Pennsylvania that’s name explains it all. Hershey. Driving along roads named Chocolate Avenue and Cocoa Avenue you can’t help feeling like you are entering into Willy Wonka’s Factory. 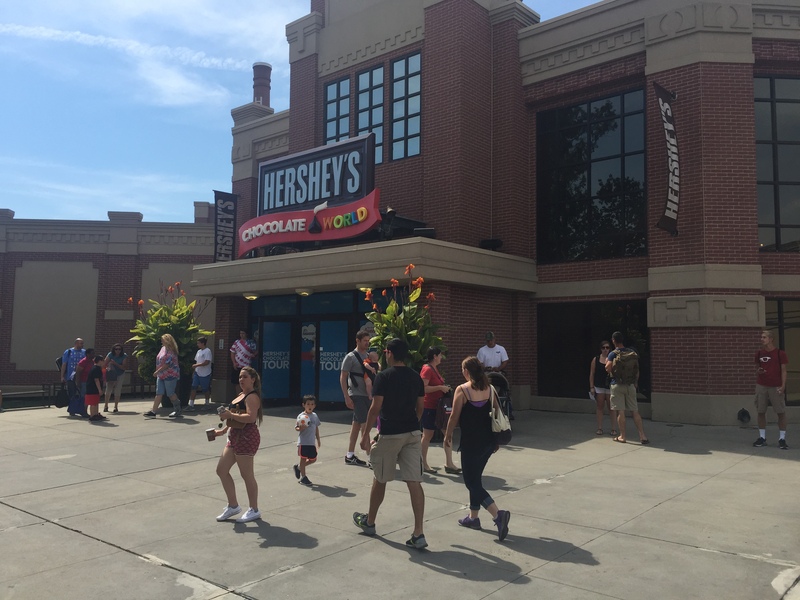 Unfortunately we didn’t have a special golden ticket, but thankfully Hershey takes credit cards instead and lets you wonder through a building known as Chocolate World. 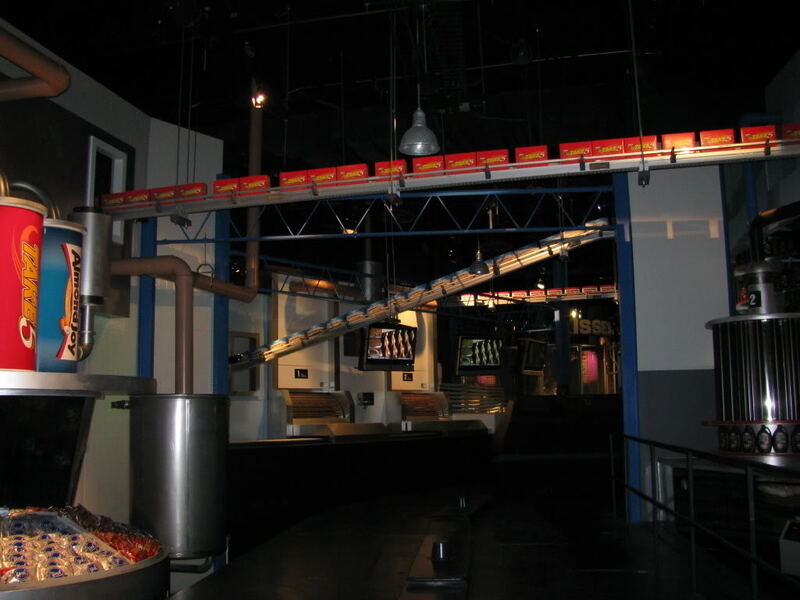 This is located just outside Hersheypark, and can be accessed without a Theme Park ticket, and is quite the attraction all its own. Inside there is a theater showing the 4D chocolate mystery movie, the Hershey Chocolate tour ride, you can create your own candy bar, and of course one of the largest Hershey stores I have ever seen. 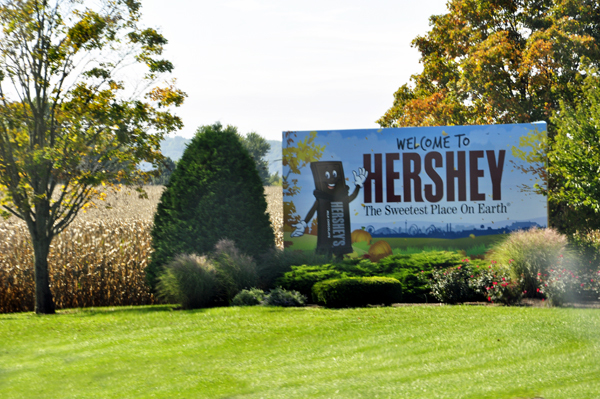 This is a really deadly place to visit for me as Hershey chocolate is a childhood favorite of mine, and I usually need a large truck to get all the candy and souvenirs out of this place. But they also have a couple of penny machines which is just the cherry on top. The first machine is located near the main entrance doors towards the bathroom area. The machine does have a change machine attached incase you didn’t come prepared (Shame!). 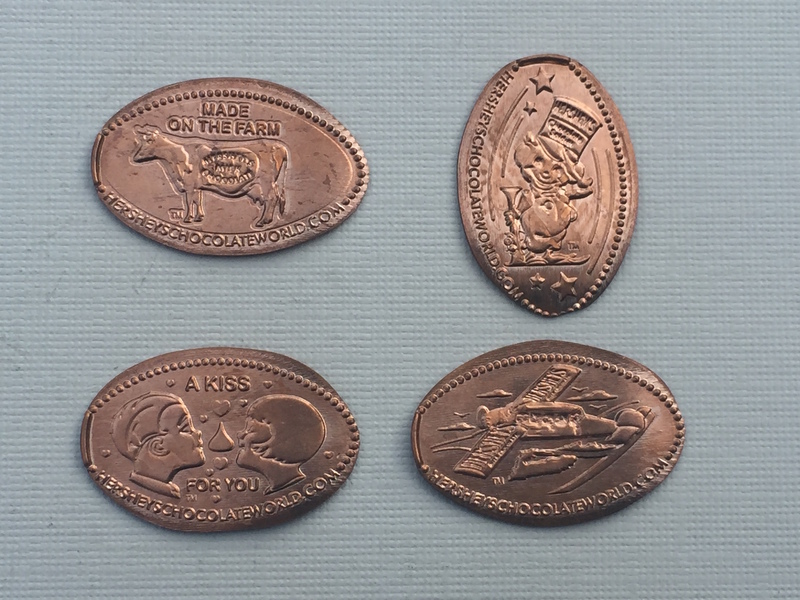 This set of pennies includes images of a Cow “Made on the Farm”, Hershey’s Chocolate Soldier, A Kiss for You, and Airplane. As luck would have it you need to make your way through racks and racks of chocolate bars, peanut butter cups, and licorice until you find the food court. 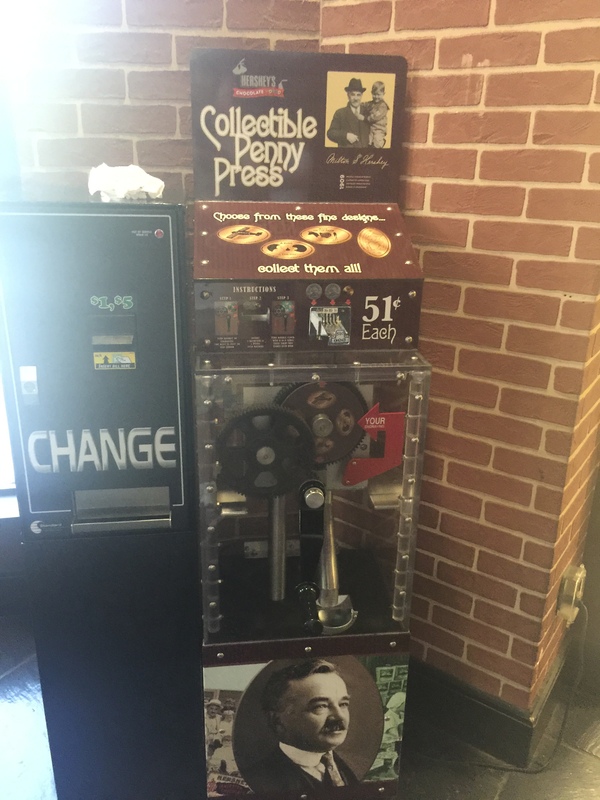 In among the tables you will find the second penny machine. 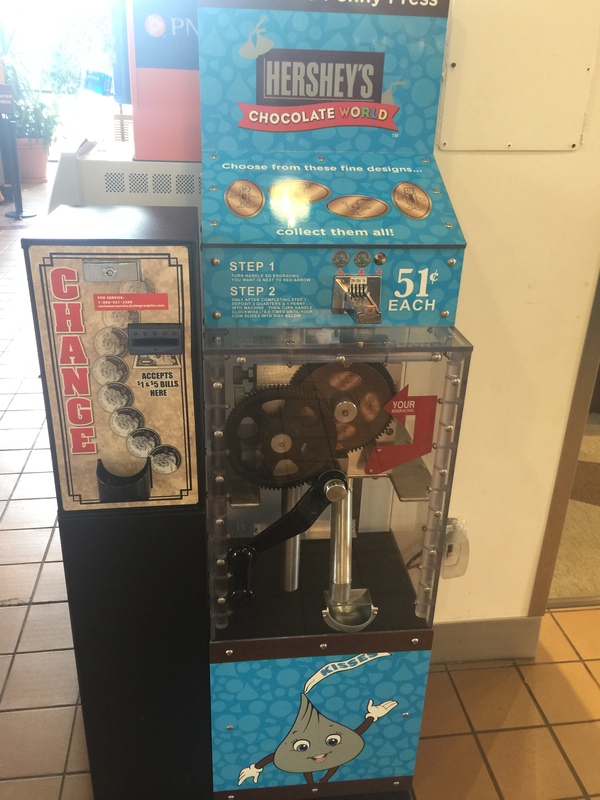 As you can see above this machine also has an available change machine. When this area of the food court is busy I would anticipate this machine is a little hard to use because there were some tables located right beside it. But thankfully the area was pretty calm so I was able to press the coins without any issue. 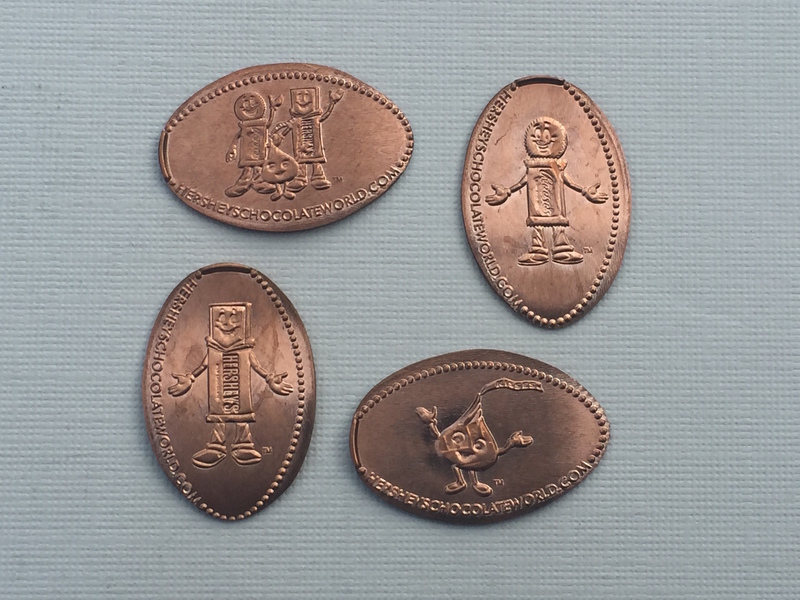 This set includes some familiar faces, Mr. Reese’s, Miss Kiss, Chocolate Bar Man, and one with all three together. With my new pennies collected I finished shopping for more candy than anyone really should try to consume. 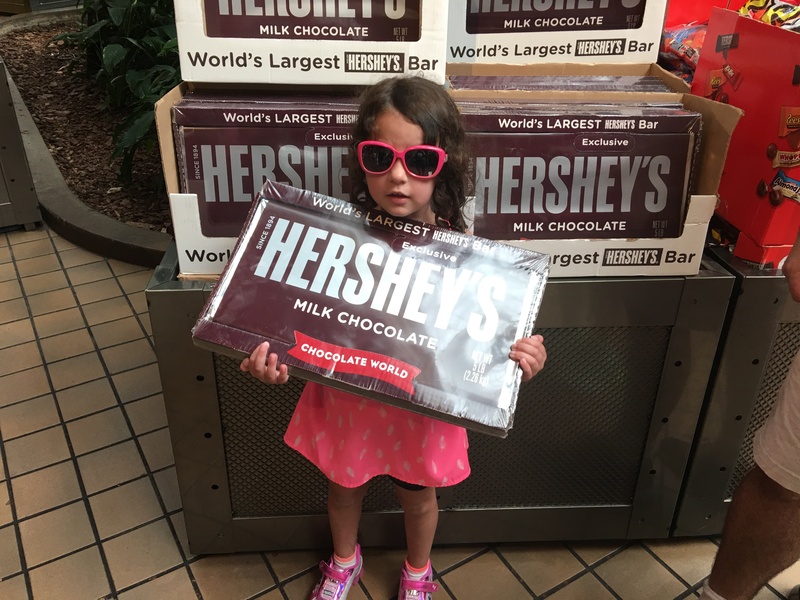 Case in point check out the 5 pound Hershey bar my daughter Hanna found. As much as it would have been entertaining to watch her try to eat this we convinced her to put it back and get something a little more portable. Chocolate World is really a chocolate lovers wonderland. If you’re in the Hershey area be sure to check it out and let your inner child just have a blast.